Grischa Bedrosian, 106, died peacefully at his home in Burlington on Tuesday, July 16, 2013. Grischa lived a life that was as challenging as it was fulfilling. 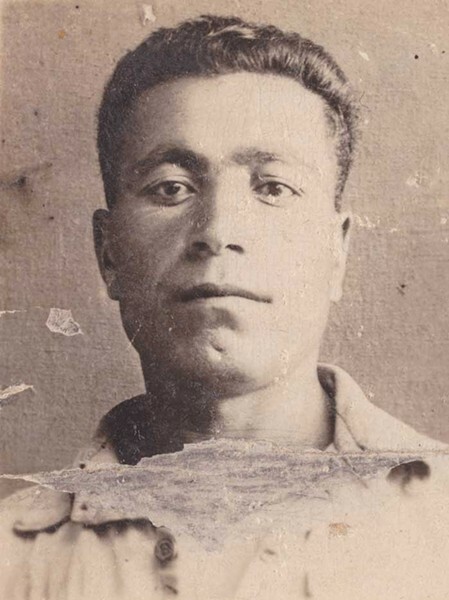 He was born July 15, 1907, took over his family farm as a teenager due to the absence of his father, and spent the rest of his young adult years in Armenia. During this time, he married his Armenian wife, Vartanush, and together they had four children, Avertik, Melsic, Edic and Amalia. In 1941, during World War II, Grischa was given only 24 hours to prepare for conscription by the Soviet Army in order to fight German military forces. He was captured a year later by the Nazis, and over the next three years, he would endure horrendous physical and psychological conditions, being moved across numerous countries to various prison camps within the Soviet Union and Europe. Grischa’s welding skill was the determining factor that saved his life, particularly welding cast iron with an oxy-acetylene torch. Grischa was finally freed by American military forces at the end of the war and eventually settled in Mannheim, Germany. In 1950, Grischa made the decision to immigrate to the United States. Working very hard to earn a living, he became a naturalized citizen in 1958. Eventually moving to Springfield, Mass., Grischa met Elsa Joseph, whom he married in 1960. That marriage would produce their son, Gregory, who was born in 1962. While living in Springfield, Grischa worked at Chapman Valve Company until his retirement in 1971 and was a lifelong member of Saint Gregory’s Apostolic church, both located in Indian Orchard, Mass. In 1967, Grischa received word that his Armenian family had survived the war, and he traveled that same year to reunite after 25 years of separation. This reunion would be the beginning of many heartbreaking, short visits between Grischa and his Armenian family. Making only five short visits to Armenia over 41 years, each time Grischa would be greeted by new devoted grandchildren, great-grandchildren and great-great-grandchildren who were told of his incredible story. Grischa was a single parent to Gregory for seven years in Springfield but met Louise Griffin of Sudbury, Vt., in 1971. They wed that same year, moving and permanently settling in Burlington in 1972. Their family would be completed with the births of their two sons, Haik (born in 1973) and Aram (born in 1977). Because of the incredibly difficult separation from his Armenian family for over 70 years, Grischa will be laid to rest in his childhood village of Ddmashen, Armenia. Grischa’s incredible story is only eclipsed by the love, devotion and resilience he demonstrated every day of his life as a husband, father and human being. May this final reunion mend the pain he always felt being torn between two families and two countries. Rest in peace, Grischa, and may you rejoice now that you are finally home. A remembrance celebration was held on Friday, July 26, 2013, at the Pines Senior Living Community. Arrangements were in the care of the Ready Funeral & Cremation Service South Chapel, 261 Shelburne Rd., Burlington. Grischa’s American family asks that instead of flowers, to please send donations to Saint Gregory Apostolic church in Indian Orchard, Mass., 413-543-4763.